2018 review by Peter Moss. 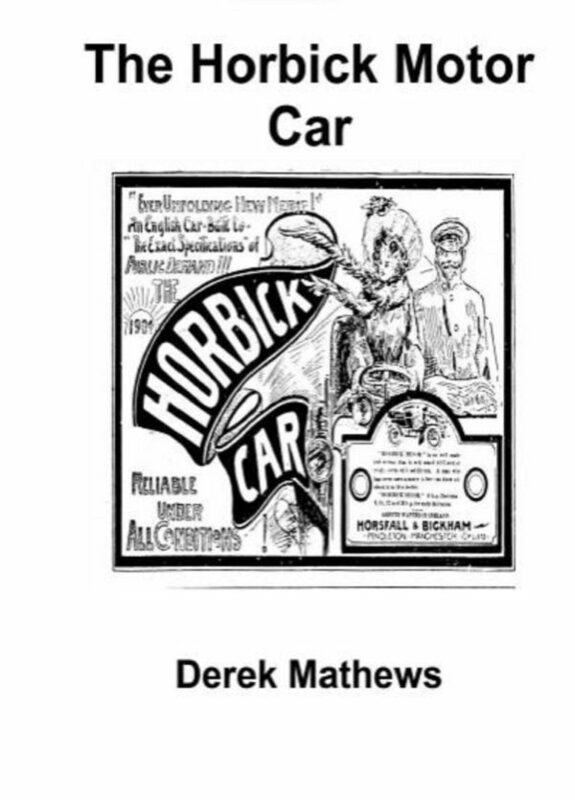 Almost as fascinating as this history of the Horbick motor car is the story of how it became to be written. Horbick cars were made by the textile equipment manufacturer, Horsfall and Bickham in Pendleton, West Manchester – but only between 1902 and 1909, when they went back to what they knew best: making card clothing for the textile industry. The author of this modest but important little book worked for Horsfall and Bickham much later, during the 1970s, when they had already moved to Swinton – further out along the East Lancs Road towards Liverpool. When the company moved once more to Cleckheaton in Yorkshire it was Derek Mathews’s job to to pack up everything before the move – and there he found some old photographs of the cars produced all those years before. Since that time it has been a labour of love for Derek to find out as much as possible about this rare make – and the result is this small, slim volume that appeared this February on Amazon. This book cannot claim to be a luxuriously produced tome with glorious pin-sharp photographs. Indeed, all of the images are no more than photocopies of originals found elsewhere. But it is a collection of every possible fact about the cars and their origins, gleaned over many years and assembled with passion and commitment by the author. If, like us, you have a fascination for forgotten makes such as the Horbick, you could do a lot worse than invest £7.22 of your hard-earned cash to learn more about it. The book is in the form of a small print-on-demand volume of around 70 pages and is available now from Amazon UK. Price: £7.22 plus postage (postage free on orders above £10). Approximately 70 pages. A5 size.